Hello Helen – We must have some kind of psychic connection because I have been looking at my vast collection of surplus plants and thinking, how can I sell these? I have a friend who runs a neurodegeneration charity in London and I do their newsletter for them, where we talk about different fundraising ideas supporters have had, and I would love to do something garden like to help them. Over the Christmas holidays I think I convinced one of my neighbors to open her garden at the same time I would like to open mind, and we could sell the plants, cake, etc. Please let me know what progress you make and I will let you know about mine! like you, I am so reluctant to stop propagating, but it does mean a garden full of plants I don’t need. I have a similar resolution about the hyacyiths. One of mine finally began to open yesterday but the other will be at least another week. Ah well. I’m gardening near the Pentlands and trying to encourage other Scottish growers to put their gardens on Folia (free gardening site), especially ones near me as we share similar weather and growing conditions (cursed winds but at least we’ve had a break from the snow this year). It’s a great resource for gardeners and has helped me keep on top of my 800+ plantings with photo’s, notes, journals, milestones etc. They have an extensive plant wiki and a seed stash section where people can also list seeds for swapping. 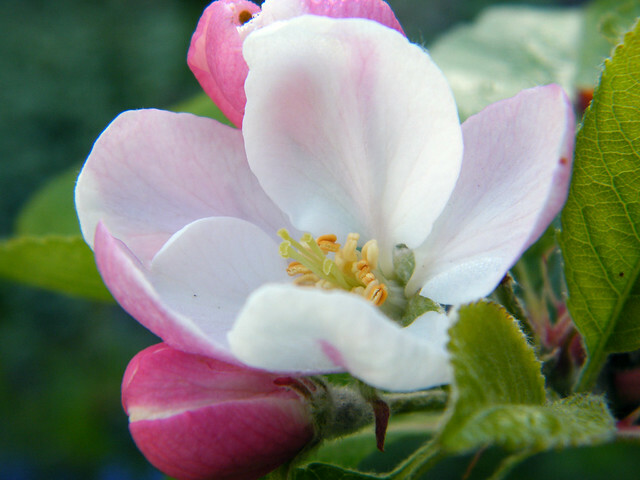 Here’s the link to my Folia page so you can see how it works: http://www.myfolia.com/gardener/CDfolia/invite. Sheila, I laughed at your resolution on hyacinths. EXACTLY the same problem- except I’m probably a month behind you. And the paperwhites came out in early December and were past by Christmas. My plans are to carry on carrying on. So much to do, so many plants to pant. Ooh Sheila I have discovered something else!! Our hyacinths are in flower now in the table, and as *soon* as they start to pong, I snip off the heads that are wilting and the pong goes away. It’s only the fading blooms that have that over-ripe smell. Yay for your new pond. I’ve just been to Dobbies AGAIN. Advise you do not go there. They are now selling off all bulbs for £1 and like me you will come away with more than your trowel can cope with. Cally thank you, I would like to have a look at that! 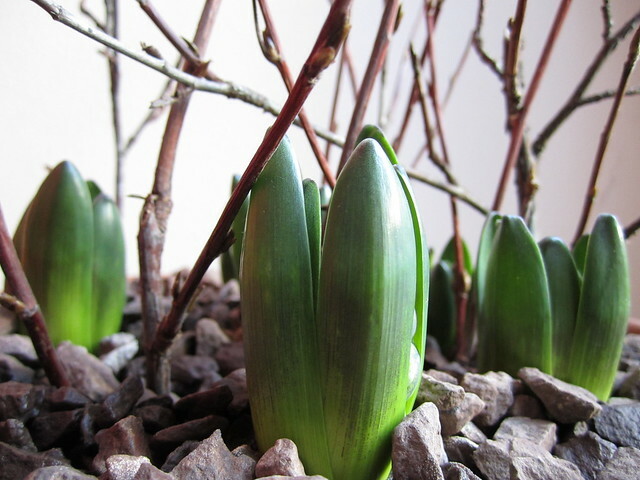 What colour hyacinths are you growing by the way? I went for shocking pink this year and have no regrets. What a wonderful post! I never do resolutions — but at this time of year, I’m always thinking of what to do next in the garden. Each year, I tend to pick a seed as an experiment — something tropical or very different, like a palm tree (I’ve grown one from seed) or Bird of Paradise (no luck — yet). Not sure what this year’s experiment will be. Happy 2012! Nitty gritty, thank you for that! I’m so envious you’ve grown a tree from seed, awesome! Any ideas how I can get a tree seed to germinate (for a jacaranda)? Tell me what your project will be, would love to hear it when you decide! I will be planting a few lovely, colourful, hardy grasses and plants, in honour of the late landscape designer Wolfgang Oehme (I literally just found out he passed on Noel’s blog today, a real shame: a great and innovative landscaper). I’m new to gardening blogs, but I must say reading your New Year resolutions is great – I had no idea there was a world of people out there with problems just like me! My resolutions are to grow more vegetables, sewing them in smaller quantities more frequently and particularly to label what I sew – a big failing of mine! Talking of vegetables, do any of you use grow bags for vegetables and flowers? We are working with some schools using a product called The Grow Bag Frame which turns the grow bag on its side and gives soil depth and allows the bag to be moved – its great for the kids because they can grow things anywhere using this. Have you any ideas of things that would be good to grow with kids other than the usual tomatoes, cucumbers etc? We want to get the kids interested so all ideas would be really welcome. Hope you don’t mind my joining in and asking. I have huge plans for my garden this year. Watched Alys Fowler’s Edible Garden programme last year and want to do something like that. Hubby wants to make an observatory slap bang in the middle of it all too, so have to plan around that. Should be an interesting venture. Have fun with your apple training! Thanks Teri! I purchased my irrigation kit today for the raised bed, and I am promising all my vegetables that they will be fat and lovely this year, instead of gaunt and starved of moisture. Sounds like big plans at your house this year – we love Alys here, too, my husband calls her “the little pixie”! Juliette, I’m sorry to leave it so long without replying! I know that ornamental gourds can be so enjoyable, even if they’re not edible. I do not use grow bags & had little success with potato bags, which just did not hold enough compost to cope with my erratic (or should I say total lack) of watering. Have a look at the ornamental gourds…the kids might really go for it! there are also seed mixes that let children grow food for rabbits and other small animals that some of them may have as pets – the seed mixes actually include dandelions, carrots, and something else I can’t remember. I saw the mix today at a garden center shop. My daughter really wanted one but we ended up buying cress instead! Kath – have you planted yet? Would love to know what grasses you are looking at! I have a food garden at my parents’ place that I put in so they would have fresh food throughout the year. My main goal this year is to continue making it as self-sufficient as possible since I am not there much to care for it. That means choosing perennial plants over annuals when possible, lots of thick mulch to conserve moisture, good design, etc. My resolution was to take as many pictures for my collection of plants and shrubs in full bloom and as I could for my gallery on my website. I might not be the best photographer but is doesn’t half cheer me up on a bad day when I flick through my flowers page. My next resolution will be coming up soon and that wold be to plant a tree inoculated with truffle spores.